On March 6, Jessica Leeb, a junior double majoring in Fire Science and Criminal Justice, shaved her head. If you’re wondering why, it is because Leeb became a “shavee” for the St. Baldrick’s Foundation. 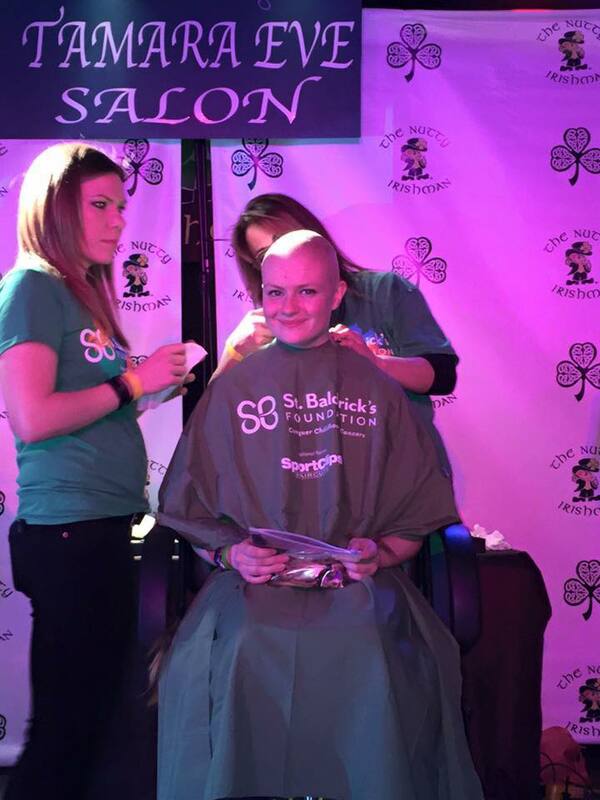 For the past four years, Leeb has been involved with the St. Baldrick’s Foundation through her volunteer fire department. When someone approached her, telling her she should consider fundraising with the department, she was determined. Leeb originally set her goal at $5,000, but with only two weeks to raise money for the foundation, she made her goal $3,000 and decided she would donate her hair, as well. “My absolutely amazing donors were able to raise just about $4,125 through word of mouth and Facebook,” Leeb said. In just two short weeks, Leeb surpassed her goal by over $1,000. Despite shattering her goal, Leeb’s work was not done yet—she still had to donate her hair and shave her head to hold up her end of the bargain. Most people would be nervous about donating their hair and shaving their heads, but not Leeb. “As soon as I decided to participate as a shavee this year, I began a countdown to the day. I was very excited, even if some of those around me weren’t,” she explained. Leeb’s friends and family began offering more money in hopes that she would not shave her head, but this did not discourage her. After fundraising efforts were finished, Leeb donated two long braids of hair, and shaved the rest, while surrounded by her friends, family, and fellow volunteer firefighters. “The look on children’s faces when they smile at their parents and tell them how happy they are that they ‘don’t look different anymore’ inspired me to become a shavee,” Leeb said. The money raised by Leeb was all donated to the St. Baldrick’s Foundation. The St. Baldrick’s Foundation’s mission is to “Conquer Childhood Cancers.” The foundation was founded in 1999, and since then, they have raised over $100 million dollars for cancer research. As Leeb mentioned, participants shave their heads to make children feel better about losing their hair during treatments. “Once a child is diagnosed with cancer, they no longer have a choice, so why should I?” said Leeb, reflecting on her experience.